The interdisciplinary network for the psychological assessment and PROmotion of mental health and EMotional well-being in young people (PROEM) featured on the latest “Campus: Panel of Experts” programme broadcast every Monday on UniRadio Jaén. 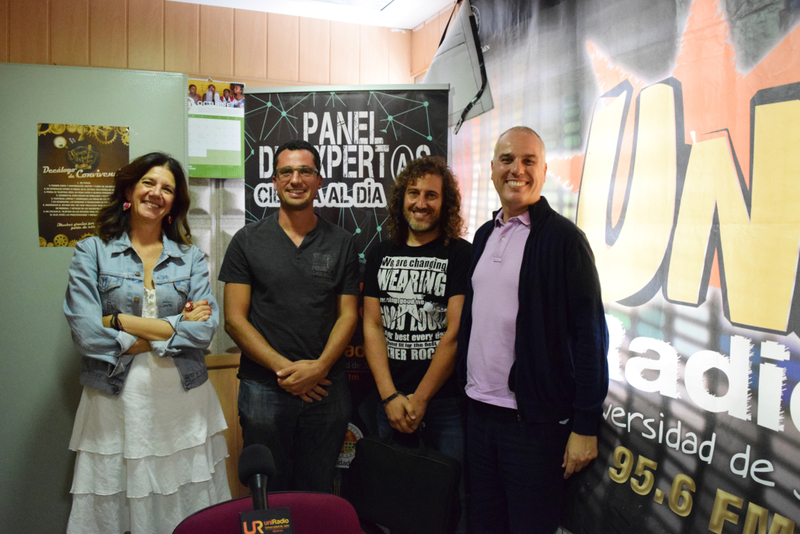 Luis Joaquín García, PI of the PROEM network, and Pere Castellvi, both researchers with the Department of Psychology at the University of Jaén (UJA), were invited to take part in this weekly university radio show. “Campus: Panel of Experts” is a programme of scientific dissemination co-directed by Julio Ángel Olivares Merino, Director of UniRadio Jaén, and Trinidad Alonso Moya, Deputy Director of the radio station, in collaboration with the University of Jaén’s Department of Scientific Culture and Innovation (UCC+i) and sponsored by the Spanish Foundation for Science and Technology (FECYT). During the hour-long broadcast, Luis Joaquín García and Pere Castellvi talked about the actions and initiatives undertaken by the PROEM network in recent months. Some of the main topics addressed over the course of this in-depth interview included the publication of the PROEM network report and roadmap on the state of the art, needs and recommendations to follow in the field of youth mental health, and the launch of the study EA!-SM: Schooling, Adolescents and Mental Health aimed at assessing the mental health of young people from Jaén. In their further discussion of the project, both researchers promoted the www.redproem.es website, whose report and roadmap is also free to download from this platform. It is available in Spanish, English and Catalan. Participation in this programme falls under the dissemination activities led by the PROEM network in a week that marks World Mental Health Day, which takes place this Wednesday, 10 October.